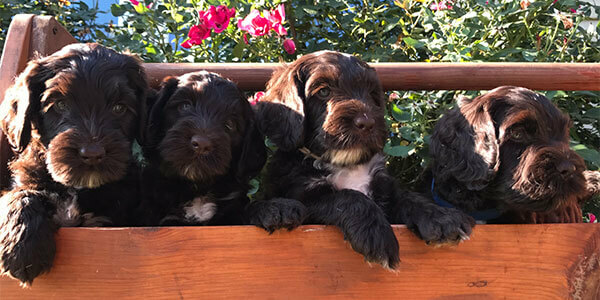 At Southern Oklahoma Labradoodles it is our goal to provide each family with a healthy and happy new family member. 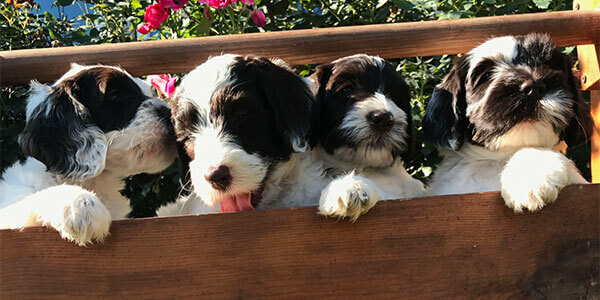 A true Multigeneration Australian Labradoodle puppy is bred selectively for temperament and health and all our puppies have been temperament tested to ensure the best placement with a Forever Family. Our puppies are raised in our home and handled from birth for proper socialization. The adoption fee for a companion puppy is $2,750.00, plus applicable sales tax and delivery fees. The deposit amount is $500.00. Deposits are accepted only after your application has been approved. Complete the Adoption Application and return it to southernoklabradoodles@gmail.com. Place a deposit after the Application has been approved. You will be contacted and begin receiving updates via email, when puppies are born. If there is not a puppy available, you will be moved to the next list. 7-8 weeks families may meet puppies and are matched with their family. Payment is due in full when the family/puppy match is made. 7-8 weeks introduction to crate training. 8 weeks puppies go home.